Panda Paper Roll provides the best paper roll products & printing solutions for the payment industry. Panda Paper Roll® is a registered trademark of Fuzhi Paper Co.,Ltd. Based in Jinan, Shandong province, China, we have been a leader in thermal paper roll manufacturing for over 15 years. We manufacture thermal paper for Point of Sale, cash register, kiosk, ATM and payment processing industry. for every market: retail, financial, hospitality, medical, government, gaming, and so on. Now we have over 60 workers, 20 advanced slitting capabilities and 3 printing presses, All of them are great assets of our company. The most beautiful part of paper roll business is that thermal paper receipts are used in every kind of setting, in millions of places every day. Our company’s unique advantage is that our paper roll price is at least 10% lower than other suppliers! In addition, we always provide easy, accurate, reliable service. We appreciate and take care of our customers! 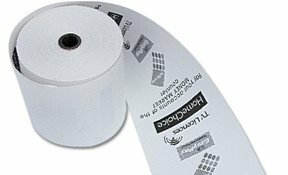 Thermal paper is a special fine paper that is infused with heat-sensitive chemicals. Added along with these chemicals is a special dye. When thermal paper is exposed to heat, for example in a thermal printer, there is a change in color of the paper because of the heat. ATM paper rolls are a type of thermal paper rolls that are used as receipts in ATM transactions. When you make a transaction over an ATM, you get a receipt from the machine. This receipt has the amount of money you have withdrawn printed on it. Bond receipt paper rolls are used in impact printers that utilize ink ribbons. They are mostly used for letterheads, stationery, business forms, cash registers, etc. Bond paper rolls are made to perform equally well for pen/pencil, offset printing, engraving, laser printing, and inkjet printing. Creating duplicate copies or images of documents or any form of writing is the primary purpose of carbonless paper systems. The top page will be a CB type paper, while the bottom page will be a CF type. Pages in between will be CFB paper. 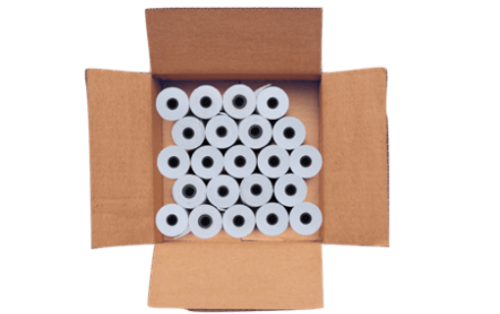 Increase your profitability from each point of sale transaction with a custom printed paper roll. It can help promote your brand, explain your return policy, boost name recognition, announce specials, prevent receipt fraud, survey customers. Thermal label products are widely used in packing, shipping, identification, office, retail, equipment, containers, cartons… almost every industry will use label roll products. Thermal label rolls have an even wider market than thermal paper rolls. Our #1 priority is you, the customer. We believe in our products and hold ourselves to the highest standards. We truly care about you as much as you do, which is why we offer the best support in our industry. In addition, we constantly search for ways to improve the quality of our paper products, while providing them at the lowest possible prices. You can count on us! Although we already have over 500 customers in the Middle Eastern, African, Asian and American markets, we still want to expand the sales network more widely. As receipt paper is used every day in supermarkets, gas station, shopping mall, restaurants, etc. the product market potential is huge. Please join our distribution network! You will benefit from our quality products and low prices you cannot get from other suppliers, and we will always support you with prompt, reliable delivery and extremely favorable financial terms. Also, if you meet certain requirements, you may have exclusive sales rights in your market. 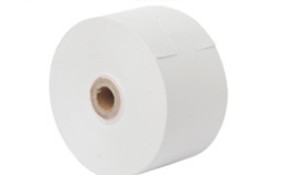 Got any Interest in our Thermal Paper Roll Products?